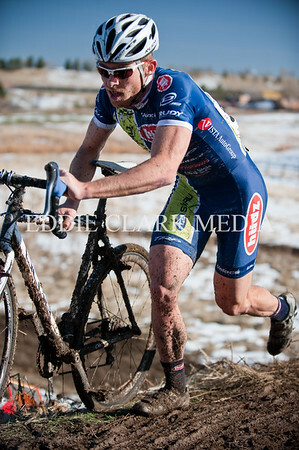 One of the eighty seven starters in the Men's 35+ Cat4 field makes his way through a drier section of the course. 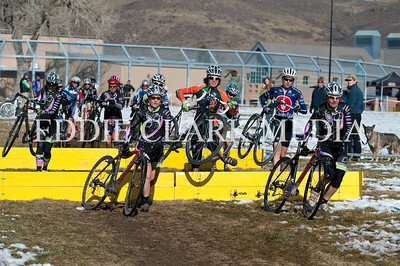 Open Women run through the first set of barriers right after the start. 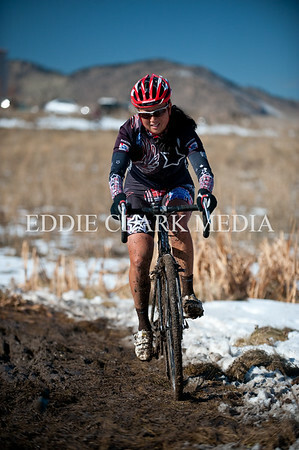 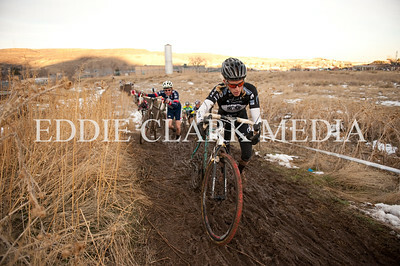 Women's Open racer Melanie Long makes her way through the mud bog. 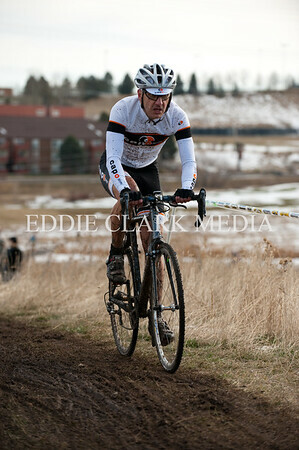 Men's 45+ Bruce Hodgkins stormed his way to another victory. 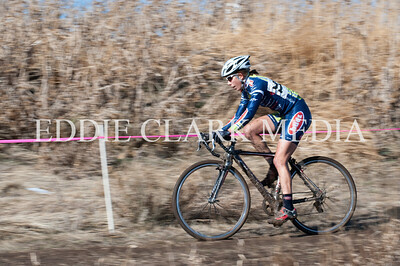 Lisa Strong rides like her namesake to win the Women's Open race. 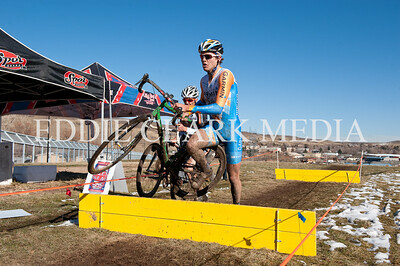 Sixteen year old Yannick Eckmann lead the first lap of the Men's Open race. 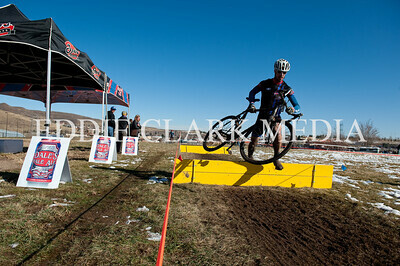 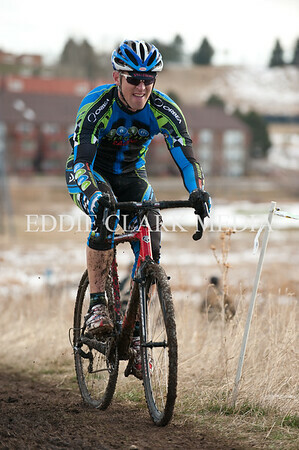 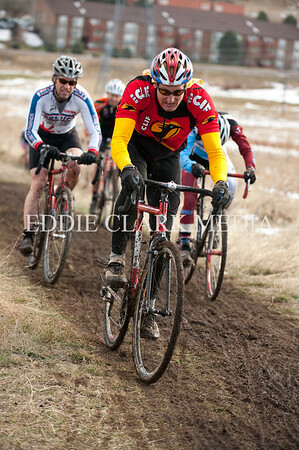 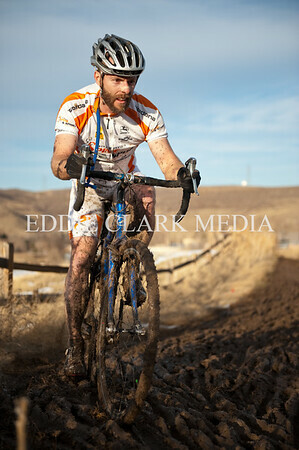 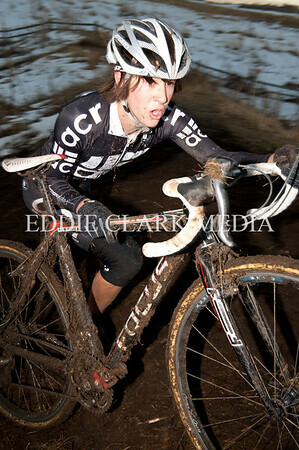 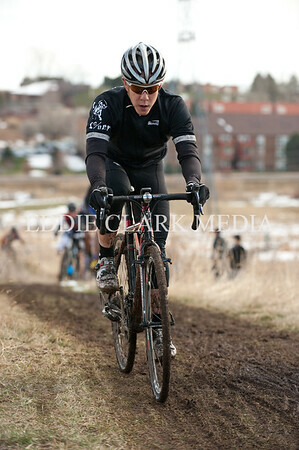 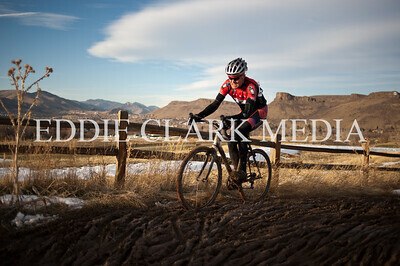 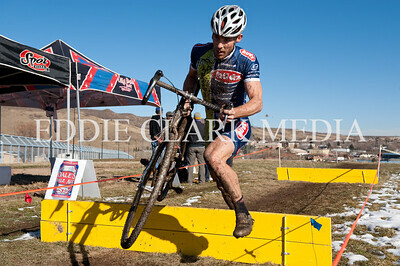 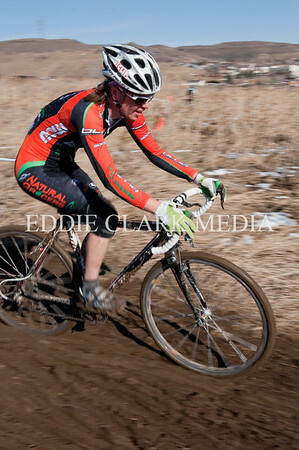 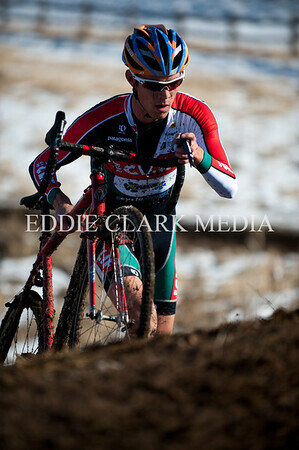 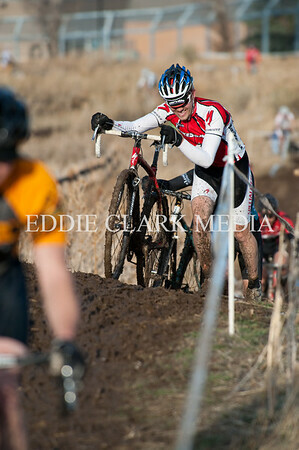 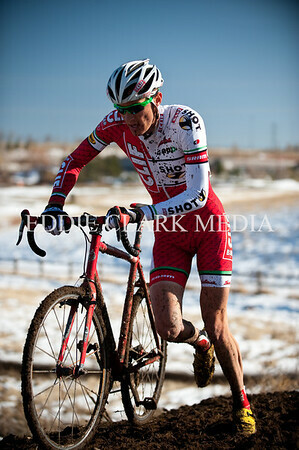 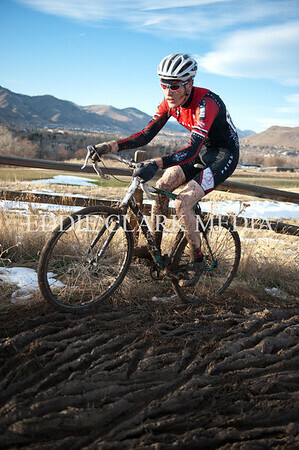 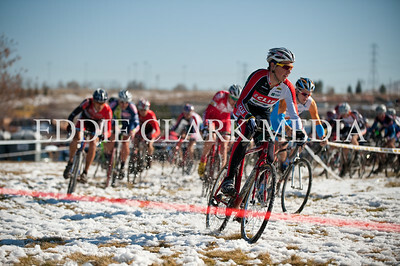 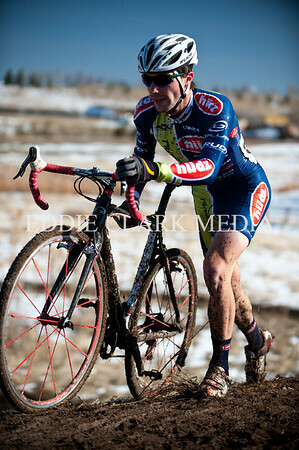 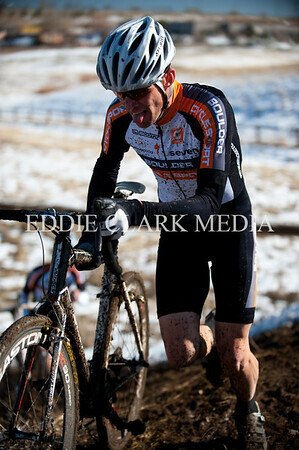 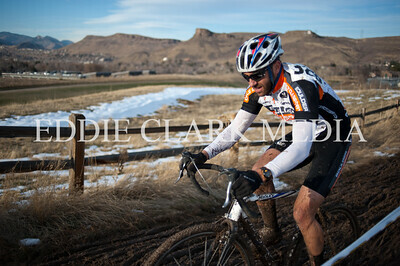 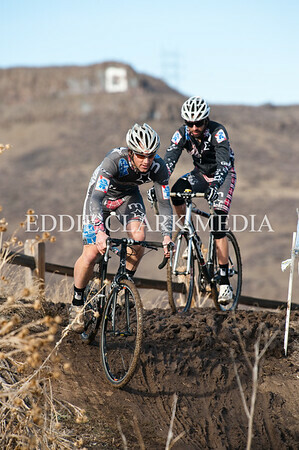 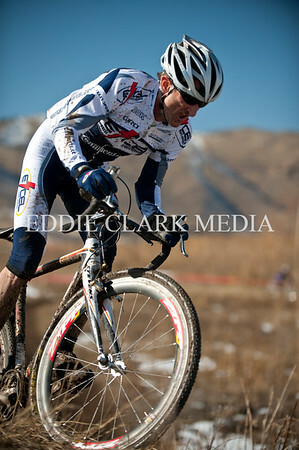 Pro roadie for Team Ouch, Brad White runs through the muck in the Men's Open race. 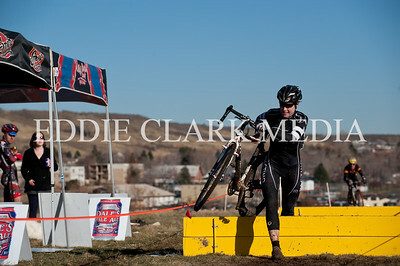 Womens 35+ winner Elizabeth Winfield of Breckenridge runs the second set of barriers in front of the Oskar Blues beer tent. 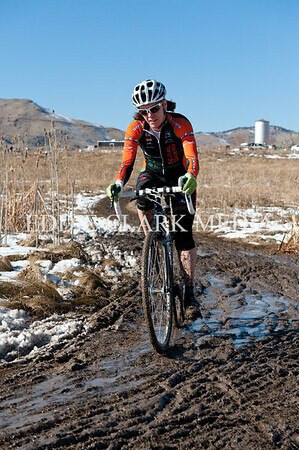 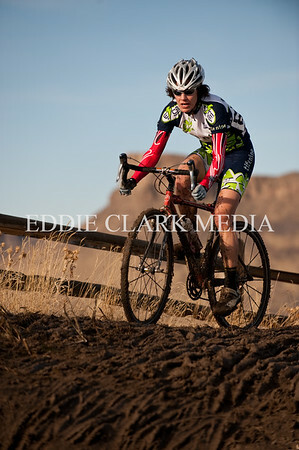 Title Nine Women's Cat 4 racer reaches the top of mud hill. 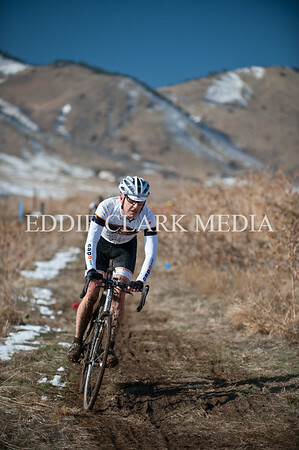 Cat 3 Colin Jenkins makes the last push up 'mud hill' in waning light.